How To Catch Smallmouth Yellowfish On Fly? 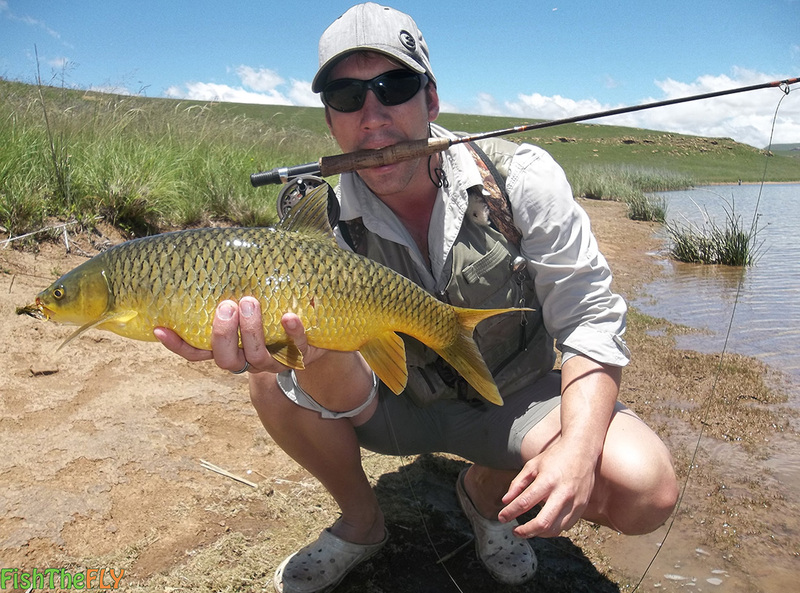 The Smallmouth Yellowfish on fly is arguably the most fished for freshwater fish species on fly in South Africa. The only rival that could come close is the Rainbow Trout. 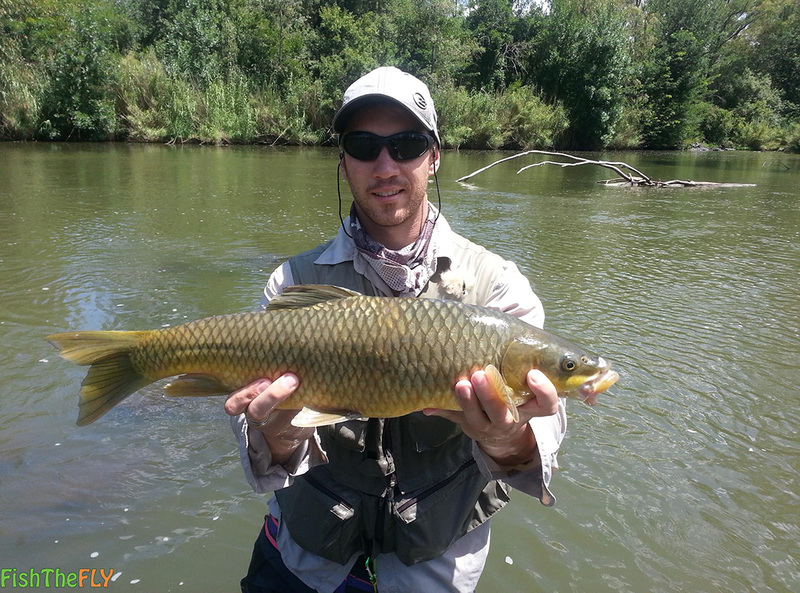 The Smallmouth Yellowfish (Labeobarbus aeneus) is also known as the Vaal Orange Smallmouth Yellowfish, due to it’s range and where it occurs naturally. The Smallmouth Yellowfish starts out as a small silver coloured fish, that grows up to be a large brightly coloured yellow and golden coloured species. They have many nicknames, and Gold is often a word used to describe them. 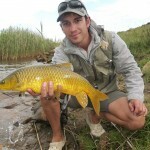 These fish are so beautiful, and are one of the strongest fighting fish in South Africa. 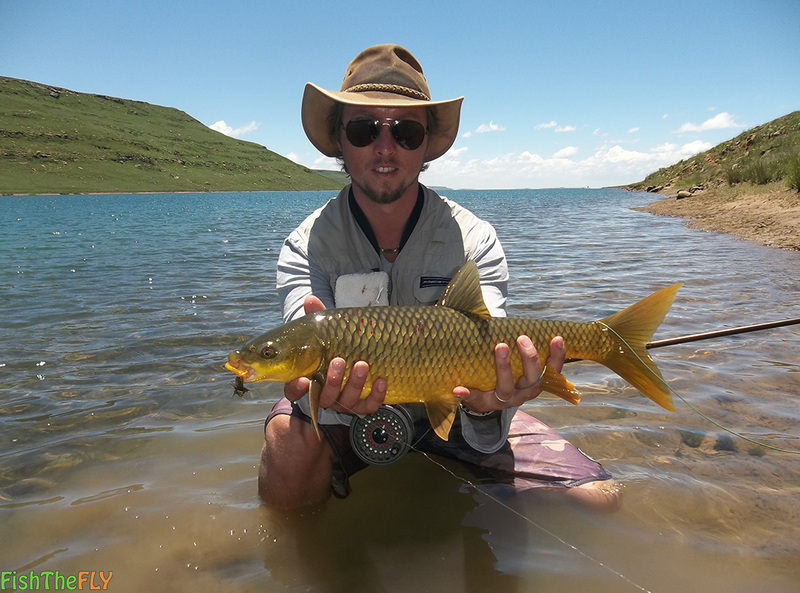 The Vaal Orange Smallmouth Yellowfish can be found in a variety of Locations: many Eastern Cape and Western Cape rivers, the Vaal and Orange systems, and dams such as Vanderkloof and the legendary Sterkfontein Dam, where some of the most beautiful Yellowfish can be caught. The colours of the Smallmouth Yellowfish here are worth the trip. For illustration purposes, we have three images of Sterkfontein Yellowfish below for you to have a look at… Pure gold, and pure beauty! If you have never fly fished Sterkfontein Dam, you have to make a plan. The crystal clear waters and the slabs of gold (ie. 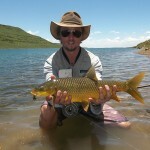 the Smallmouth Yellowfish on fly) are something you just have to witness. Even the photographs of these fish do not do them justice. The Smallmouth Yellowfish can reach lengths that exceed 60 centimeters and can grow close to 10 kilograms in weight. They prefer clear flowing streams and rivers and tributaries, as well as dams. They are quite well distributed in South Africa. We have written a few articles that relate to Yellowfish in particular. Such as the Yellowfish Season and Yellowfish spawning. Click the link to have a read. The Smallmouth Yellowfish spawns and breeds after the first decent Summer rains, where they find shallow water with gravel bottoms. 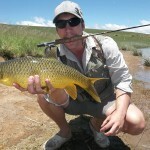 It is not advisable to target the Smallmouth Yellowfish on fly when they are spawning. You can cause a lot of damage to the fish, and interfere with their breeding process. So when you see a large congregation of Smallmouth Yellowfish tailing and turning in shallow water, rather find another spot to fish. They do not all spawn and breed at the same time, so you will be able to find some other Vaal Orange Smallmouth Yellowfish to target on fly. The Smallmouth Yellowfish is an omnivore and eats a variety of things. It will consume aquatic plants, algae, insects, crustaceans, invertebrates, snails and fish. Below is a video of Yellowfish Season as shot by the Fish The Fly team, remember to subscribe to our Youtube channel for more fly fishing videos. Catching Smallmouth Yellowfish on fly is one of the most exciting forms of fly fishing you can do. 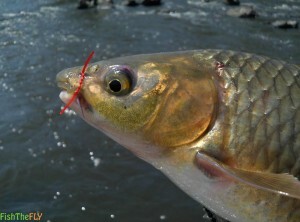 There are a variety of different techniques for catching Smallmouth Yellowfish on fly. First of all you need the right setup. A 5 to 6 weight fly rod and reel, paired with floating line is perfect for this application. Tippet of about 10 lbs is the strength we would recommend. 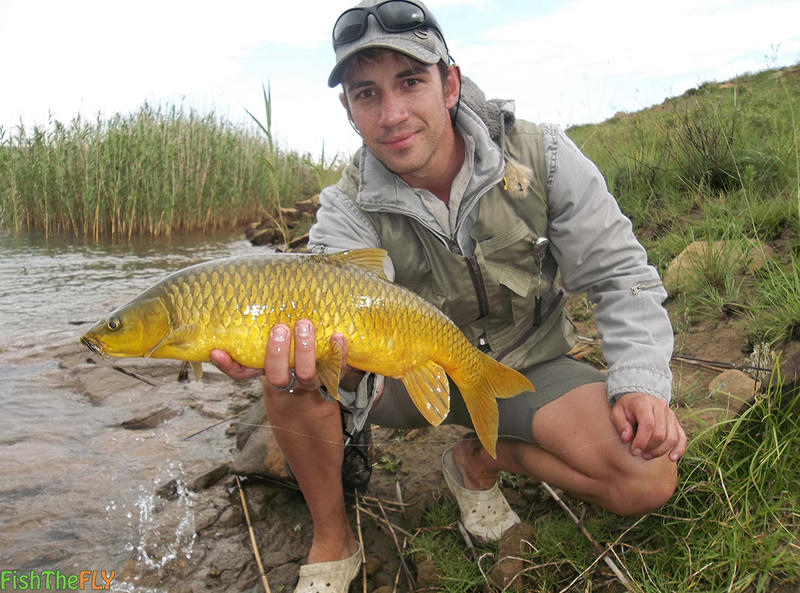 You can catch Yellowfish on dry flies, in rapids, on dams (Such as Vanderkloof and Sterkfontein), and in the calmer pools and areas of large rivers. Small stream dry fly fishing for Smallmouth Yellowfish can be done as well. They often rise, and catching Smallmouth Yellowfish on dry fly is truly exhilarating. They will take big dry flies, and sight fishing for them is amazing. The most common methods of catching Smallmouth Yellowfish are on nymphs, with nymphing techniques such as Czech Nymphing, Short Line Nymphing and the New Zealand Nymphing methods. Short line nymphing is our personal favourite, where you use two nymphs. A heavy nymph (Such as a Brassie), which is the control fly, and then a smaller nymph (Such as a Hotspot) tied to the base of the control fly. This is called the point fly. You can fish this method under a strike indicator, or you can watch the tip of your line. It is called short line nymphing simply because you barely cast the fly. You cast a tiny bit of line out in front of you, and let it drift, and then cast again and so forth. You are in complete control of the line, and it is best fished behind and adjacent to rocks in the shallows or rapids and white water in deeper areas. You can use a slit shot or two to get the fly down to the bottom quicker. 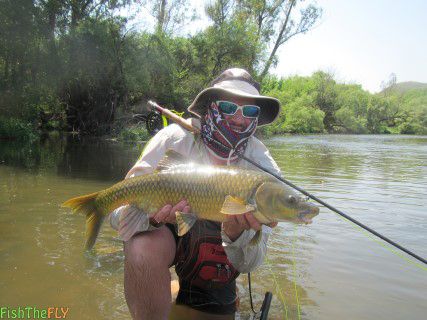 There are a variety of great Yellowfish flies you can use, we have written an article on the top 10 Yellowfish flies to use in South Africa.